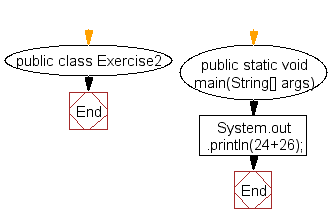 Write a Java program to print the sum of two numbers. In mathematics, summation (capital Greek sigma symbol: ∑) is the addition of a sequence of numbers; the result is their sum or total. 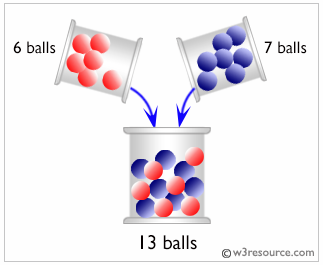 The numbers to be summed may be integers, rational numbers, real numbers, or complex numbers. Previous: Write a Java program to print 'Hello' on screen and then print your name on a separate line. 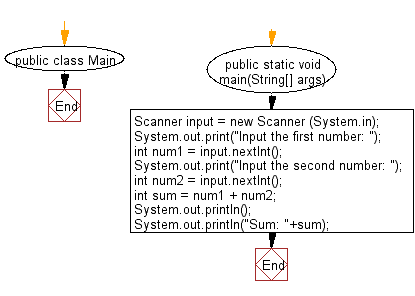 Next: Write a Java program to divide two numbers and print on the screen.